Call +1 (732) 387-3668 for questions and more information! 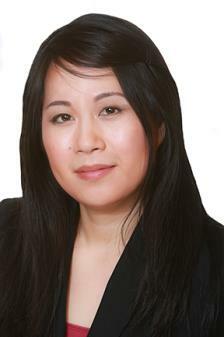 Discover why Attorney Laurie Wu is the right choice for all your Fiancee Visa needs! From Dan P. As we all know being separated from a loved one is quite difficult, and every day matters. I have had one experience procuring a visa for my fiance many years ago,(what an exasperating experience) and Laurie was more than twice as fast as doing it on my own. Laurie is extremely responsive, as I can attest to her even working/taking calls on the weekend to make the process go faster. From Tobi O. Laurie most recently helped my wife and I remove the conditions from my green card. In 2012, she helped us with K-1 fianc� visa and then helped me get my conditional green card. The entire process then and now went smooth without complications. Because of her attention to details, we didn't need to submit any more evidence and didn't have to go for any interview in order to obtain my 10 year green card. We know she has many clients, but she treated our case like we were her only clients. Not only is she hardworking, she is also very professional and reachable. I'm so glad my wife and I found her. Her fees are very affordable, and I highly recommend her to everyone. From Aurielle C. Laurie is very professional and works very fast. She always helps me with the papers and answers all my questions in a short time. She listens to her customers. It took 5 months for me to have my visa in my hand and I want to say thank you for it. Now my fiancee and I are married. I definitely recommend Laurie and I'll continue to work with her in the future. From Debasish R. Laurie provided truly outstanding service from start to finish. I was a bit anxious about the outcome of the K-1 visa for my Chinese girlfriend before I had Laurie as my attorney. Once Laurie started the application process I was reassured that I was in the best hands possible. She has intimate knowledge of the application process and how to present the best possible application. Laurie has an incredible attention to detail. She responds to every question in a timely and clear fashion. From Ken M. My name is Ken and Attorney Laurie Wu prepared a K1 Fianc�e Visa application for me and my Chinese fianc�e. Laurie also helped me with my K-1 visa application for my ex-fianc�e and I withdrew that application. All along, Laurie took time to listen to our concerns and addressed them in a thoughtful, respectful, and caring way. She replied to inquiries promptly, both to me and my fianc�e in China. Her advice was both helpful and reassuring. From Dimitri B. We have been working with Laurie over the past few years and she has provided us great service. Immigrating is very confusing and not always clear what is required. Laurie has shown that she has a comprehensive understanding of the requirements and the system to make the process run smoothly and had confidence in her at each step. In this sort of process communication is very important and she kept us appraised at each stage and in layman terms we could understand. We even rehired her to help us to renew my green card two years after I became a permanent resident. From Bipasha B. From the very first day I was put in touch with Laurie she was accommodating, understanding and gave me sound advice. I liked her straightforward approach and practical advice. Ours was a unique situation and she expertly guided us through it keeping us on track with what were the next steps and what we should expect. Even at times when we fell behind with the paperwork she checked on us to keep track of our progress. Whether over phone or email she was always readily available and helped us through any doubts we might have or any questions that arose. Home Fiancee visa Step by Step Visa Guide Visa Service What is a Fiancee visa (K-1)?